This is a native client for the OCR.net web service. 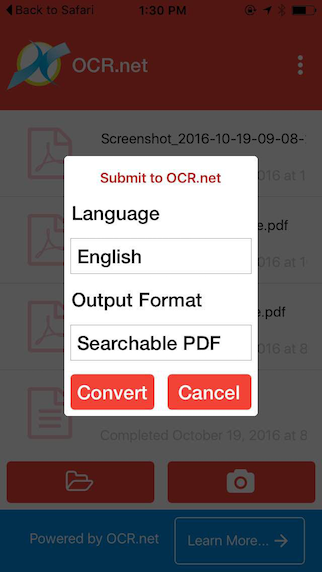 This allows you to perform OCR (optical character recognition) on images or scanned PDFs to produce editable text or searchable PDFs. Supports dozens of languages including English, Spanish, Chinese, Japanese, German, and French. 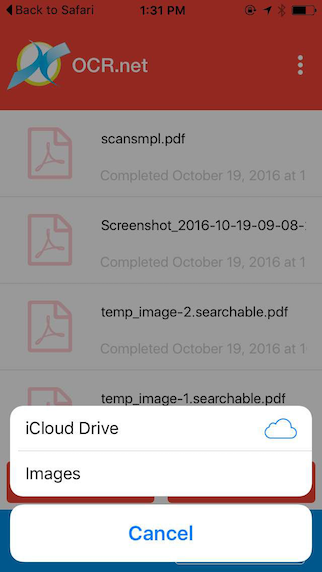 This app provides a sleek and simple interface. 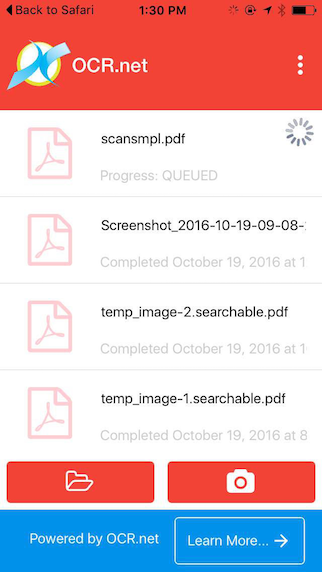 Select a file from your device, or capture a photo of a document and extract the text from it. 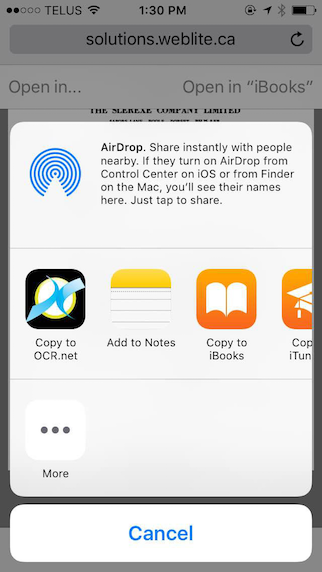 It registers as a viewer for PDFs and images so that you can also send files directly from your downloads folder or preferred image viewer to the OCR.net for conversion. OCR is performed on the OCR.net server using fast and accurate recognition.